There were incredible filmmakers and humans behind The Son, The Father. Learn more about them here. Mighty Tripod Productions collaborated with friends and filmmakers new and old to create our award winning 48 hour film. 2017 marked my second year at Hollyshorts. 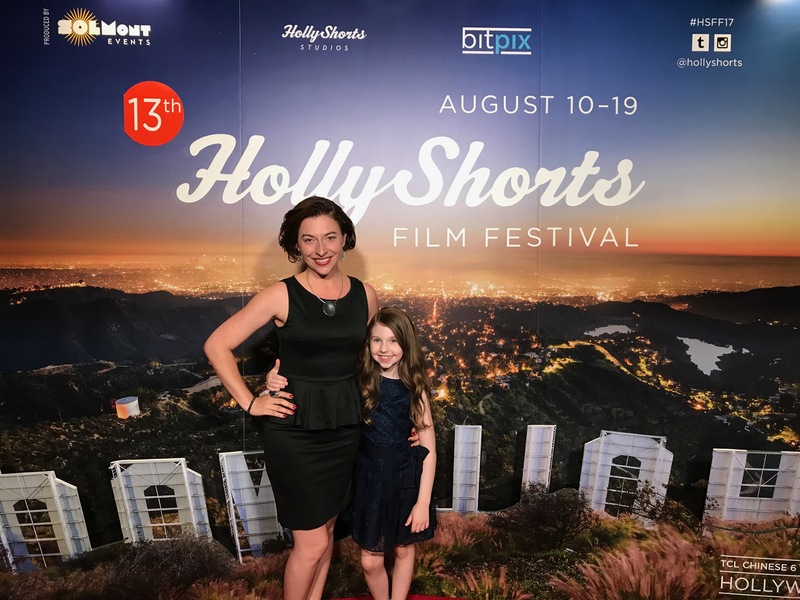 My wife, Angela DiMarco, and I were producers and casting directors for the 2016 Hollyshorts Screenplay Winner, The Son, The Father, and we were also in attendance representing our film, One Step Too Far. It’s always a great joy to celebrate the hard work of filmmaking, and it’s even sweeter to be in the company of so many people I love, respect, and admire. The Son, The Father screened at opening night, which was a great honor and a testament to the quality of the film, and its creative partners. The film also screened in the Seattle Block, with a slate of other fantastic #filminWA shorts, including Fool from Eryn Rea, and One Step Too Far from Mighty Tripod Productions, which was the 2016 Seattle 48 Hour Film Project Best of City Winner. It’s my hope that I can return to Los Angeles in 2018 for Hollyshorts. It’s one of my favorite short film festivals – great films, great networking, great education. Special thanks to Ben Andrews, Lorraine Montez, Eryn Rea, and Lucas Hassel for making Hollyshorts 2017 so special. Angela DiMarco make everything special. Consider that my PS! Love you brother. You make us look better each and every year.